In the United States, 41 states, including Illinois, withhold state income tax, as of publication. The tax rates, exemption rates, available tax credits and procedures to file tax returns differ from state to state. If you recently moved to Illinois or are resident of another state and work in Illinois, understanding how the Illinois Department of Revenue calculates income taxes can ease any frustration or anxiety. What's the Illinois Tax Rate? Calculating income tax in the state of Illinois is fairly straightforward. While some states, such as Wisconsin and Georgia, charge an income tax percentage based on your income, Illinois charges all taxpayers a set rate. Regardless of how much you earn, you'll always pay the same percentage. As of 2013, the Illinois tax rate is 5 percent of your net income. For example, if you earn $100,000 a year, you can expect to pay $5,000 in income taxes to the state of Illinois. What is the Exemption Rate? For each person you claim on your taxes, Illinois allows you to reduce your taxable income by a set rate, also known as an exemption rate. The Illinois exemption rate as of 2013 is $2,000 for each exemption and an additional $1,000 for you or your spouse if you are 65 or older or legally blind. For example, if you and your spouse earn combined income of $100,000, are 25 years old, not blind and have two kids, you can claim four exemptions. Your Illinois net income is $92,000 -- or $100,000 minus $8,000 (four times $2,000). What Tax Credits Can I Receive? Illinois offers three tax credits for individual taxpayers -- the property tax credit, the earned income credit (EIC) and the education expense credit. To claim the property tax credit, you must own your home. The credit you can receive for the property tax credit is equal to 5 percent of the property taxes you paid on your main home for the year. To qualify for the EIC, you must also qualify for the EIC on your federal return. For Illinois residents, the amount you'll receive for the EIC is 7.5 percent of your federal EIC. For example, if you received $1,000 for the EIC on your federal return, your Illinois EIC amount is $75. Part-year and nonresidents will receive a smaller percentage based on the time lived in Illinois or Illinois income earned. The education expense credit is available to taxpayers who where the parents of a college student younger than 21 or a kindergarten through 12th-grade student. The amount of your credit is 25 percent of your qualified education expenses over $250 with a maximum credit of $500. Who Must File an Illinois Return? If you owe taxes in Illinois, you must file an income tax return. If you don't owe taxes, you should still file if you expect a refund. 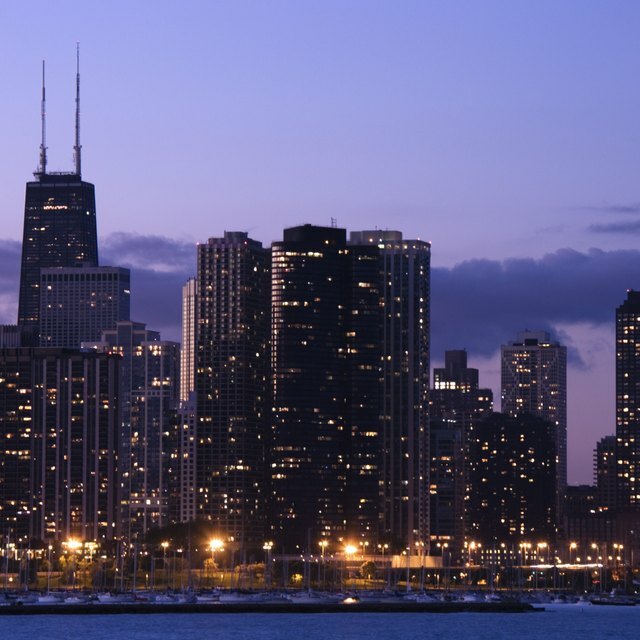 Residents of Illinois must file Form IL-1040. If you live in Illinois and work in Wisconsin, Kentucky or Michigan file Form IL-1040 even though you didn't receive income in Illinois. Taxpayers who lived in Illinois for part of the year must file Schedule NR in addition to Form IL-1040. Nonresidents, including taxpayers who lived in Wisconsin, Michigan and Kentucky, must file Form IL-1040 and Schedule NR.